The background paper is crumpled cardstock. The sticker letters are wrapped with twine for a more rustic feel. 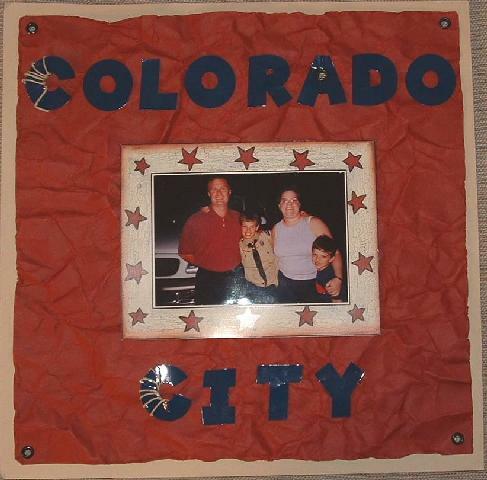 These two layouts are of Colorado city. It was great to spend time with my Uncle and family. We took a special side trip to pick up my cousin from schout camp so we could see eachother.